"A Human Stain" by Kelly Robson is a disturbing horror novelette about a British expatriate at loose ends who is hired by her friend to temporarily care for his young, orphaned nephew in a remote castle-like structure in Germany. 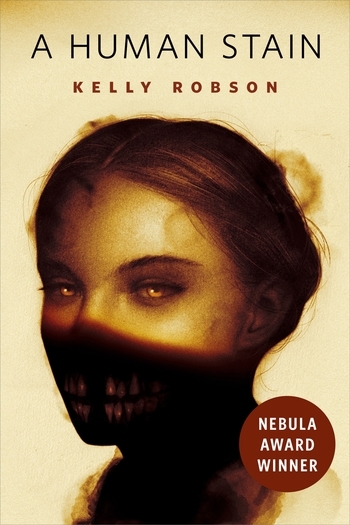 Kelly Robson’s Tor.com novella Waters of Versailles won the Aurora Award, and was a finalist for both the Nebula Award and World Fantasy Award. She has also been a finalist for the Theodore Sturgeon Award and the Sunburst Award. Her work has been selected for numerous Year’s Best anthologies. Kelly lives in Toronto with her wife, fellow SF writer A.M. Dellamonica.